Adam Duce met Robb Flynn when he was 16 through a common friend, and they later became roommates. At the time, Flynn was playing in Vio-Lence. In 1991 they got involved in a big fight with a local gang in Oakland, California, where they lived. 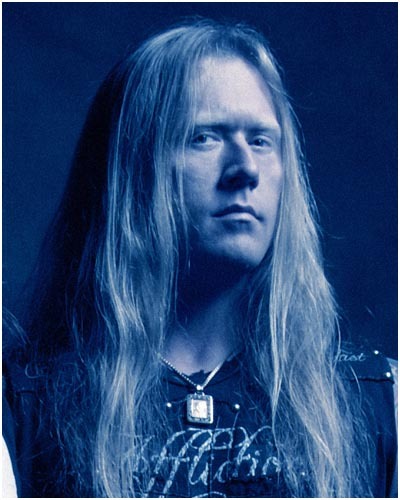 This led to Flynn leaving Vio-Lence and served as a catalyst for the forming of a new band � Machine Head. Retaining a desire to write music, Flynn recruited Duce, guitarist Logan Mader and drummer Tony Costanza to form Machine Head. Duce played bass and did the backing vocals for all the Machine Head albums between the first (Burn My Eyes) and seventh albums (Unto the Locust) and participated in all of the band's tours until 2012. He also has several appearances in live shows as a bassist for Roadrunner United. Duce didn�t fully participate in the creative process for the songs for Unto the Locust. In an interview he admitted that he wrote several riffs and lyrics that got rejected by Robb Flynn, which led to further disagreements between him and the band. These disagreements were later pointed out as the reason for the band to fire him. On February 22, 2013, Machine Head announced that the band and Duce were parting ways. Robb Flynn later explained in an emotional message on the band's website that the band had fired Duce.